Hi, I have a Dolphin 2001 since 10 years and he has done a great job up to now, but last Week it just stopped Moving. 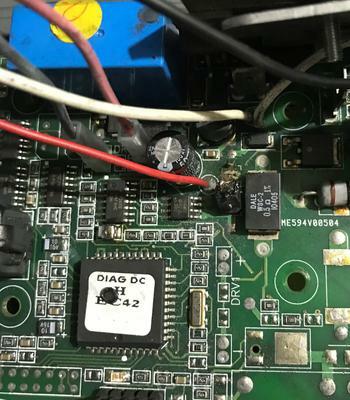 I opened the motors box and I saw a burned resistor on the circuit board. being burned, I cannot read the value. If anyone would know the value or had a good picture, it would save my life.